James Hughes is set to arrive on January 4 to join Alab in the ABL. JAMES Hughes is set to arrive on January 4 to be Alab Pilipinas' second world import in the Asean Basketball League (BL). Alab Pilipinas coach Mac Cuan said Hughes will arrive just in time for the start of the Philippine squad’s preparation for the match against Kaohsiung Truth, which it will face for the third time this season on January 8 in the Taiwanese city. 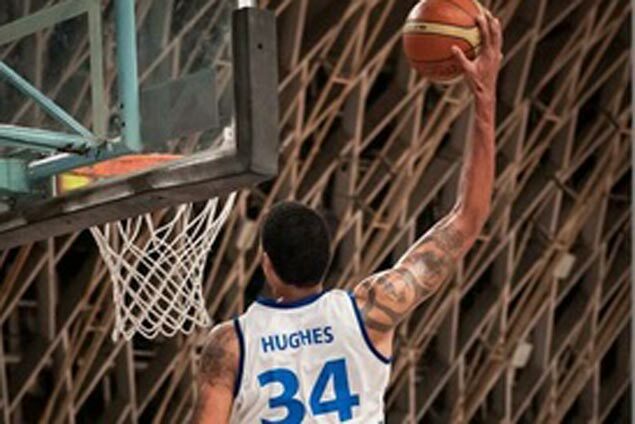 Hughes, 33, will join University of Massachusetts product Sampson Carter as they replace Korean-Americans Lee Seung Jun and Lee Dong Jun as the two world imports which an ABL team can field during the season. The 6-foot-11 Hughes is a Northern Illinois product who played for the Memphis Grizzlies in the NBA Summer League. He also played professional ball abroad including stops in Slovakia, Czech Republic, and Japan.